The Solemnity of Mary, the Holy Mother of God is a feast day of the Blessed Virgin Mary under the aspect of her motherhood of Jesus Christ, whom Christians see as the Lord, Son of God. 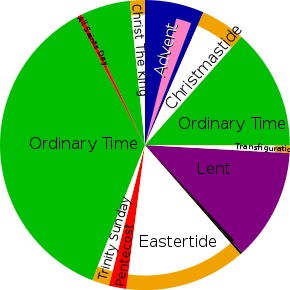 It is celebrated by the Latin Rite of the Catholic Church on 1 January, the Octave (8th) day of Christmastide, and in the Catholic Church is a Holy day of obligation. Christians of Byzantine Rite and of all West Syrian Rite, South Syrian Rites and East Syrian Rites celebrate Mary as Mother of God on 26 December and the Coptic Church does so on 16 January. The Anglican Communion and the Lutheran Church observe the Feast of the Circumcision of Christ on January 1. The feast is a celebration of Mary's motherhood of Jesus. The English title "Mother of God" is a translation of the Latin title Dei Genetricis, which means "She Who Generated God", as the corresponding Greek title Θεοτόκος (Theotokos) means "She Who Gave Birth to God". This title was dogmatically adopted at the First Council of Ephesus (431) as a way to assert that Jesus is God, and that his mother can therefore be called Mother of God. 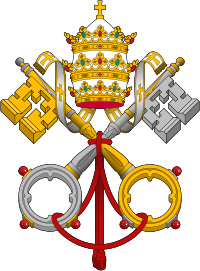 The title that the 1 January feast celebrates is thus not only Mariological but also Christological. 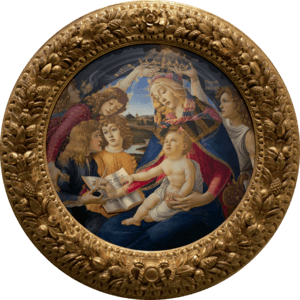 The Second Vatican Council stated: "Clearly from earliest times the Blessed Virgin is honoured under the title of Mother of God." and at an early stage the Church in Rome celebrated on 1 January a feast that it called the anniversary (Natale) of the Mother of God. When this was overshadowed by the feasts of the Annunciation and the Assumption, adopted from Constantinople at the start of the 7th century, 1 January began to be celebrated simply as the octave day of Christmas, the "eighth day" on which, according to Luke 2:21, the child was circumcised and given the name Jesus. In the 13th or 14th century, 1 January began to be celebrated in Rome, as already in Spain and Gaul, as the feast of the Circumcision of the Lord and the Octave of the Nativity, while still oriented towards Mary and Christmas, with many prayers, antiphons and responsories glorifying the maternity of Mary. Pope John XXIII's 1960 rubrical and calendrical revision removed the mention of the circumcision of Jesus and called 1 January simply the Octave of the Nativity. In his Apostolic Letter, Marialis Cultus, Pope Paul VI explained: "This celebration, placed on January 1 ...is meant to commemorate the part played by Mary in this mystery of salvation. It is meant also to exalt the singular dignity which this mystery brings to the "holy Mother...through whom we were found worthy to receive the Author of life." It is likewise a fitting occasion for renewing adoration of the newborn Prince of Peace, for listening once more to the glad tidings of the angels (cf. Lk. 2:14), and for imploring from God, through the Queen of Peace, the supreme gift of peace." ↑ Pfatteicher, Philip H. (23 September 2013). Journey into the Heart of God: Living the Liturgical Year. Oxford University Press. p. 113. ISBN 9780199997145. The Anglican and Lutheran churches retain the medieval association of the octave with the circumcision and the giving of the holy Name.